Dr. Hendizadeh has successfully treated the neuroma with alcohol injections. I have gone from having pain with every step to being almost pain free. I have 1 more injection to complete the treatment. Dr. Hendizadeh is very competent, professional and easy to talk to. His use of ultrasound to locate my neuroma was something that was not used at my previous podiatrist and the injections were spot on. His staff is friendly and professional, and appointment times are respected and have always been on-time. I would highly recommend Dr. H to anyone looking for an excellent podiatrist. As a pediatrician, I have worked with Dr. Hendizadeh for many years. He has taken great care of many patients that have been referred to him by myself and colleagues. I have only heard positive feedback from patients who have seen him and he has communicated with us promptly. His staff is warm, friendly, and welcoming. With Dr. H you will be in the hands of a competent and talented Podiatrist. 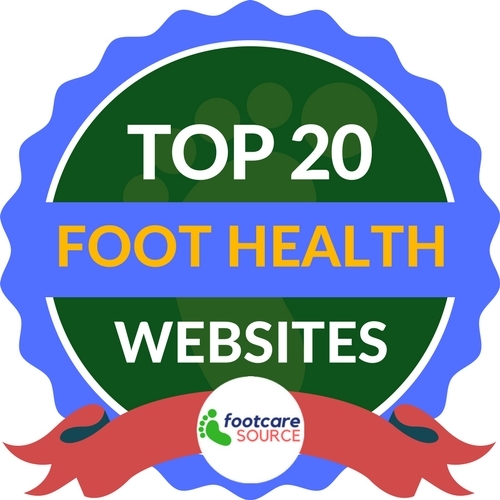 I am confident that you will be receiving the best foot care possible. Upon entering the office, you meet energetic, cheerful and helpful staff. You never have to wait more than 10 minutes for and appointment. When you finally meet Dr. Hendizadeh you will feel reassured that you are in good hands because he is knowledgeable and caring. If you broke your foot, like I did, you will see the X-rays as he sees them, and discuss your prognosis. He will plan your recovery with you, as a team. I cannot recommend him highly enough!! I had gone to an orthopedist who specialized in broken feet, but he was very dismissive and didn't thinkI needed as much care as I did. My physical therapist led me to Dr. Hendizadeh and I am so thankful!! I have nothing but the highest regards for Associated Podiatrists of Roslyn , especially for Dr. Pedram Hendizadeh . I had my first bunion surgery this past month, and I have recovered amazingly quickly and easily. His plastic surgery technique for the incision site is unlike anything I could have imagined, and I'm so thrilled with the results, even at this early stage. Dr. Hendizadeh is a true artist. I have always felt so comfortable with him, and I trust him completely with all my foot needs. I am already trying to fit in my second surgery before I move, because I could never trust another doctor as much. The staff are extremely friendly, and the wait is never longer than 5-10 minutes. I can't recommend this place and Dr. Hendizadeh enough. If you have foot problems, you have to go here. Pedram Hendizadeh is truly a gem of a doctor. The staff at his office have always been available and helpful and so friendly. You feel so welcomed whenever you come, and they always remember me by name. The punctuality of Pedram Hendizadeh needs to be noted as beyond exceptional. I have never waited more than 10 minutes at any visit, even when I was squeezed in. His partners at the practice have also seen me when he could not, and I always felt I was good hands. I went in with two bunions at the age of 21, and I already had surgery on my mind. Pedram Hendizadeh went through all my options with me and I never felt pressured in any way. He was incredibly knowledgeable and informative, and he truly put to rest all of my fears (which I'll admit isn't an easy feat). I have recovered from my first surgery amazingly quickly and easily, and I already have the second surgery on my mind. His plastic surgery technique at the incision site really demonstrates his artistry and skill. Pedram Hendizadeh diagnosed my LLD. (Leg Length Discrepancy) This has gone undiagnosed my entire life even though one of my parents is a wonderful pediatrician!! Side effects of my LLD include terrible lower back problems, scoliosis at a 45 degree curve in my upper spine, a tear in my hip requiring arthoscopic surgery and issues with my shoulder muscle on one side. I am a personal trainer and having these issues can affect my work! I use my orthodics daily and now I take no medications for my back, my hip is great and my shoulder is in better shape than ever before!! I have gotten multiple compliments on my posture ( even with my 45 degree curve). Pedram Hendizadeh is knowledgeable, courteous, and punctual! I have and will continue to highly recommend him!! I plan to compete in a fitness competition and without this correct diagnosis and these orthodics I would probably not be able to! The staff were very friendly and professional. Dr. Hendizadeh performed a bunionectomy on my left foot. The surgery went very well and the recovery was quick. There was little pain and I was out of work for less than one week. I highly recommend Dr. Hendizadeh to anyone having foot surgery or any other foot issues. Dr. Hendizadeh is outstanding in the field of podiatric medicine-an extremely knowledgable and experienced physician who inspires confidence, an excellent listener who quickly puts his patient at ease, a kind and respectful practitioner who always takes time to explain thoroughly the details of one's medical needs and solutions. It was my good fortune to find Dr. Hendizadeh through the recommendation of a friend. He performed a bunionectomy on one foot, with excellent results and is now scheduled to perform the same surgery on my other foot. My physical therapist tells me that, after many years of practice, she has never seen a bunionectomy with such quick recovery time and remarkable results. I consider this a tribute to Dr. Hendizadeh 's considerable skills as a surgeon. Not only is he an excellent doctor, but he and his staff are also always accesible and available to address questions or concerns. I know that, with Dr. Hendizadeh , my feet are in good hands! My 87 year old mom was referred to Dr. Vieira after being seen in the emergency room at NS/LIJ Hospital. She ended up being seen into the hospital after he reviewed her case. Dr. Vieira kept me informed and up to date on everything that was going on. He was great! I myself ended up becoming a patient a few weeks later for heel pain. He is very knowledgable and patient. The office staff is very professional and pleasant-which you don't usually find. I would recommend this practice to anyone that asks. I have seen Dr. Hendizadeh several times for laser treatment of toenail fungus and I am very happy with the results! Before I saw Dr. Hendizadeh , I had tried numerous rounds of oral antibiotics to treat these infections (complete with various side effects like skin rashes, as well as frequent blood tests one needs to undergo when doing antibiotic therapy) all to no avail. My toenails just kept looking awful. A couple of years ago, I read online about how some podiatrists who offered laser treatment for toenail fungus had pretty good success rates. I decided to give Dr. Hendizadeh a try especially since there were no side effects with the laser and I did not have to take any pills. I found the treatment to be quick, painless and best of all highly effective. My nails now look perfect. I see Dr. Hendizadeh every 6 months for maintenance and my nails are completely clear. In addition to curing my problem, Dr. Hendizadeh is personable, courteous and caring. I highly recommend him for laser treatment of the toenails. I have a Morton's Neuroma in my right foot, which can be incredibly painful. After seeking help from another podiatrist, a chiropractor, and an acupuncturist, I was referred to Dr. Hendizadeh , who has helped me to almost eliminate the pain with a simple injection every 3-4 months. In between shots, I am practically pain-free.... Dr. Hendizadeh has helped me manage my condition. I'm a believer! I went to Dr. Hendizadeh to remove a bunion on my left foot and I could not be happier with both the process and the results. He and his staff made me feel really comfortable during pre-op visits, the surgery and post-op check-ups. Because of Dr. Hendizadeh's precision, I made a quick and comfortable recovery. It has been over 7 years since this surgery and I have not had any problems with my foot. He uses a particular type of stitch so that the scar is less noticable than normal bunionectomy scars. I know that I will, at some point need to remove the bunion on my other foot and I am so happy that I have found the doctor to do it. Dr. Hendizadeh is the best and I would recommend him to anyone! I am a 30 year old female who suffered from severe bunions on both feet ever since I can remember. Two years ago, Dr. Pedram Hendizadeh performed a bunionectomy on both feet, a tailor bunionectomy on the outside of both feet and shortened both of my long toes. Growing up I was self conscious of the appearence of my feet and I can remember actually dreading the warmer months where I would have to wear sandals. As I got a little older, the vanity of my feet fell second to excruciating pain that I was experiencing. I had always considered this surgery, however I was turned off by the horror stories I had heard about pain and possible deformity. After speaking with Dr. Hendizadeh , I felt confident in moving forward with the surgery. 2 years later, I have never been happier in my life. I no longer have any pain in either one of my feet and I can now wear the sandals I never dreamt of wearing. I honestly am so happy with my decision to let Dr. Hendizadeh perform this procedure, he did a wonderful job! Dr. Vieira was the third podiatrist I went to for chronic foot pain. The first 2 doctors suggested I have surgery which I did not want to do. After a very thorough examination, Dr. Vieira recommended custom molded foot orthotics. I have now been using them for a month and have no pain at all!! Dr. Vieira took the time to address my concerns. The staff is friendly, caring and accomodating. The office also has a late night which was great for me because I work until 6pm! All the doctors at Associated Podiatrists of Roslyn are top notch. My son had bunion surgery which was performed by both Dr. Hendizadeh and Dr. Vieira. The result was better than expected and he plans to do the other foot in the near future. Both the doctors and staff are very supportive and caring. All questions and concerns were addressed. Never felt rushed. Highly recommend this group. I scheduled my first appointment with Dr. Hendizadeh after having gone to 2 previous foot doctors for bunion issues. I was aware I was going to need surgery but wanted to find a doctor/surgeon I was comfortable with. It took all about 5 minutes in his chair to decide he was going to be the one to perform my surgery. His knowledge and expertise outweighed my expectations. Dr. Hendizadeh has a way of making you feel comfortable and at ease. Prior to, during, and after my surgery, he went above and beyond to make sure I was content and truly cared about my well being. He even came and met me at his office after hours one night to change my bandage because I was complaining it was too tight. I would highly recommend Dr. Hendizadeh to anyone who is looking for a GREAT podiatrist. I 100% will be returning to him to have my other bunion operated on. After years of chronic foot pain and numerous podiatrists, I am thankful to have found Dr. Hendizadeh . I have had trouble with plantar fasciitis and pain in my metatarsals from wearing dress shoes and lots of physical activity over the years. Dr. Hendizadeh was able to make the perfect pair of insoles for my feet (that others could not) that have completely alleviated all the pain. I feel like I have my life back!!! He listened with diligence and care and didn't try to rush me out of his office. I would HIGHLY recommend you see Dr. Hendizadeh for ANY foot condition. I had bunion pain for several years and was always told the surgery to remove it was extremely painful. I decided to seek professional advice and saw an orthopedic surgeon, who wanted to perform surgery the very next day. I left his office very anxious and very scared. I used to work for a doctor and remembered we used to refer patients to Dr. Hendizadeh, so I decided to make an appointment to see him. Dr. Hendizadeh gave me options besides surgery, but assured me that surgery was not as painful as I was told. He explained with details the before and after of the surgery and it was true to every word! I had the right foot done first and 4 months later, I was ready for the left. I remember telling him after having my right foot done, that he had "angel hands." His office is well equipped and clean. His staff is courteous and polite! I don't regret at all having both bunions removed and would reccommend Dr. Hendizadeh without hesitation to anyone. Today, a year after both surgeries, I am pain free! Dr. Vieira took my x-rays and gave me the best options ever in regards to my recovery! I was using crutches when I walked into his office. When I was leaving, he just gave me a boot, which is so much better! Now I can get back to my normal lifestyle. I love this office! I had the pleasure of seeing this very professional doctor who not only had the most compassionate bedside manner but really understood my foot problem and my personal situation. He treated me with the utmost care for my delicate foot problem only after taking into consideration the fact that I had an upcoming trip. He initiated a plan with goals to ensure I would have the proper expectations and the results were actually better than my expectations. I have seen him approximately 5 times and each time he was very patient with my many questions. Dr. Hendizadeh is a true find and I recommend him highly! I originally came in the Fairfield office to see Dr. Hendizadehfor fungus on 8 of my toes. I had the PinPointe laser treatment done on the infected toes and since then, I feel that my toes are 80% better in a short time. The discoloration is barely visible on 4 or 5 toes. Before the laser treatment, I tried several over the counter products and NOTHING worked for me so I decided to take this route after 2 or 3 years of dealing with this. Dr. Hendizadeh also recommended that I use the Formula 3 topical medication alongside the SteriShoe to sterilize my shoes. In fact, my entire family makes use of the SteriShoe to keep their shoes clean! Great investment! I am VERY pleased with the results and highly recommend the practice! Dr. Pedram Hendizadeh works with Dr. Abraham Yale (and 2 others) at Associated Podiatrists of Fairfield. I had been experiencing severe foot pain intermittently for a few years and knew I needed foot surgery. I did some web research, asked friends and family for references and scheduled appointments with 3 different podiatrists for an evaluation. Dr. Hendizadeh was my 3rd (and final) appointment and Dr. of choice. While all 3 doctors gave me the same results, would perform the surgery, I felt most comfortable Dr. Hendizadeh. He was extremely patient with me, even when I asked several questions. He was very easy to talk to, and was genuinely interested in my well-being, before, during and after surgery. Here are several things that I really liked: He scheduled appointments according to my availability; at a scheduled appointment he was NEVER late, and 3 out of 4 times took me "early;" His office is easily accessible, clean, up to date and his staff greet me by my name every time. 5 STARS!!!! I began seeing Dr. Hendizadeh in December 2012 after suffering with Chronic Plantar Fasciitis for more than a year. Neither physical therapy sessions through my orthopedist nor acupuncture treatments helped eliminate my pain, and after a while the pain began to worsen. I was certain that surgery was going to be my only option. Instead Dr. Hendizadeh suggested I try EST-Extracorporeal Shockwave Therapy. I felt the results almost immediately. I initially had 3 treatments (1x a week for 3 weeks) and then had subsequent treatments every 3-4 weeks. When I first met Dr. Hendizadeh, my pain level was high (8 out of 10) and after the first few treatments I was able to walk again without limping. 6 months later, I am 90% better and can now walk 3-5 miles a day instead of 3-5 blocks! My only regret is that I did not go see Dr. Hendizadeh sooner before my mild Plantar Fasciitis became chronic. I do believe that I will be pain free by summer--something I never would have believed 6 months ago. I had been considering but chickening out of bunion surgery for a couple of years before I was referred to Dr. Pedram Hendizadeh of Associated Podiatrists of Fairfield. My previous podiatrist made me feel too rushed and I was anxious to find a doctor with whom I could feel much more comfortable. It's been about two months since my bunionectomy and I am so happy that I went to Dr. Hendizadeh. He is very professional, patient, kind, attentive and knowledgeable. His calm demeanor eased my nerves! Everyone who knows his work has commented upon how great my foot looks and has affirmed that he is a perfectionist. I am very happy with his office as well. The office is small and current and staff have been very friendly, professional and attentive. The website is full of helpful information. Dr. Hendizadeh's assistant, Linda, has also been fantastic. She is very caring and she has been there for me with all my many questions. I am very happy with Dr. Hendizadeh and his staff!